...by myself in the car, just to get it all out! Whew!! Feeling better! 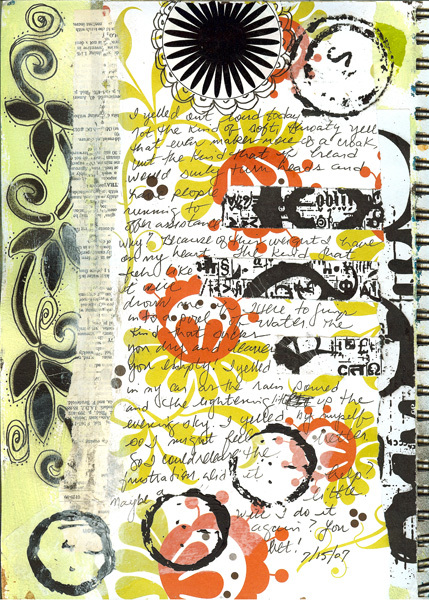 Journal Page Elements: acrylics, stencils, old book paper, wrapping paper, scrapbook paper, glaze and black pen.